A campaign office for 5th Ward aldermanic candidate William Calloway was shot at Monday afternoon. NBC 5’s Trina Orlando reports. A campaign office for 5th Ward aldermanic candidate William Calloway was shot at Monday afternoon in the South Shore neighborhood on the South Side. Gunshots caused damage to the building at 2:49 p.m. in the 2000 block of East 71st Street, according to Chicago police. Calloway’s campaign office is located at 2030 E. 71st. 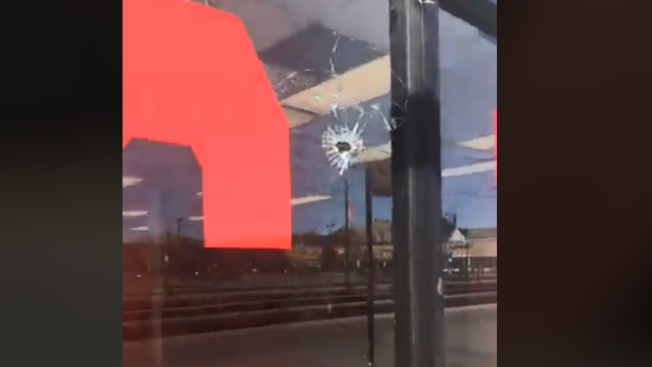 Calloway started a Facebook Live video stream shortly before 3 p.m., claiming his office was shot at and showing bullet holes in the windows. No injuries were reported and no one is in custody in connection with the shooting, police said.